Documents just released years after a shooter murdered his mother, 20 students, 6 teachers and himself at Sandy Hook Elementary School have been made available to Connecticut politicians and the general public in answer to a legal action brought by a persistent Hartford Courant. The documents had been carefully tucked away for five years and clearly point to the social and mental deficiencies of the shooter. All reports should have been released soon after the shooter’s suicide, because none of the information contained therein could have prejudiced any legal action. It is impossible to put a dead mass-shooter on trial for murder. In the absence of the necessary data unearthed above, a public trial of sorts, some of it sprinkled with absurd speculations, was conducted entirely in the mass media, and eventually one of the weapons used in the mass slaughter, an AR15 semi-automatic rifle, was pronounced guilty and banned in Connecticut. Arguing that “something must be done” to prevent such slaughters in the future, decision makers in Connecticut banned some weapons, aspersed the state with their emotional solidarity with the victims, passed hastily constructed anti-gun legislation and congratulated themselves on their moral acuity. Those solutions were not forthcoming for a number of reasons: The Devil managed to hold the details close to his chest. Some politicians were, it turned out, very much interested in milking the Sandy Hook cow in such a way as to clamp restrictions on firearms, thus benefiting their future political prospects; and Connecticut’s media, though it tried mightily, had failed to wrest from the Devil the details upon which a real solution to a real problem might have been proposed. 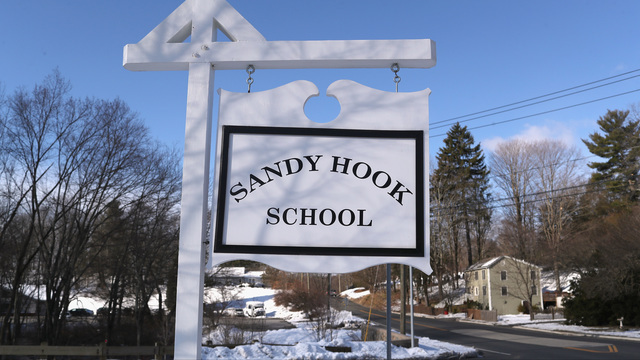 The so called “red flags” flourished by the Courant in its own attempt to uncover pertinent details were fluttering six years ago, when the psychotic shooter murdered the children and staff of Sandy Hook Elementary School. We know now – and knew then – the red flags that signaled mental distress. PsychDrugShooters.com provides a detailed list of school shootings connected to shooters who have taken drugs. Their brief report on the Sandy Hook shooter notes that “While Lanza’s toxicology report showed no traces of anti-psychotic medications, sources say he was prescribed the antidepressant Celexa by the Yale Child Study Center in his early teens. Lanza also took Lexapro for a short time as a teen, but stopped after his mother reported symptoms such as dizziness, sweating, slurred speech and the inability to open his cereal box.” A piece in the New Yorker, which draws on an interview with the father of the shooter, asserts that the shooter took no further psychotropic drugs following his reaction to Lexapro. Indeed doctors and nurses who treated the shooter speculate that the shooter's psychosis worsened because of his refusal to take therapeutic drugs. Clearly, the shooter was anti-social and mentally disturbed. The father believes that his son’s Asperger diagnosis, though it may have been correct, masked a more dangerous psychosis. Neither the father nor the mother of the shooter, who had retreated into an impenetrable shell, expected violence from their son. They were wrong. But the data suggests that people who thought the myriad of gun restrictions imposed after the murders could prevent further instances of this kind were also wrong.